What’s the Best Way to Moisturize? The no. 1 problem with regular moisturizers is that many of them contain unnatural and toxic ingredients. Most of these ingredients are known human carcinogens, so finding organic moisturizers is a must in trying to avoid serious health problems like cancer. But just because you’re going organic doesn’t mean you have to give up smelling fantastic. Below are my top picks for the best way to moisturize organically and smell fabulous in the process. Enjoy! This ultimate, deep penetrating, hydrating moisturizer is packed with the richness of dreamy vanilla, organic cocoa and shea butters. Made with 30% shea butters and organic cocoa, this rich creamy crème protects skin from rapid water loss and produces glowing skin by providing hours of protection. 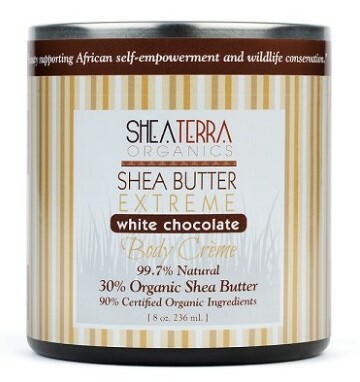 Shea butter smooths flaky skin and repairs skin damage triggered by the unforgiving winter weather (take that, polar-vortex ravaged skin! ), giving you beautiful and radiant skin. Ingredients like shea butter and cocoa also have natural sun protection, that leaves your skin not only moisturized, but also protects it against the winter sun. With no added parabens, sulfates, artificial colors or fragrances, this delectable chocolate treat is a 99% natural product that deeply revitalizes your skin from the harsh winter and is perfect for both – body and soul. For the best way to moisturize with a body cream, take a liberal dollop of this cream and gently massage it onto a freshly cleansed body and face until your skin feels silky to the touch. Is this a daily-use cream for dry skin? You bet! If you love the amazing combination of lavender and vanilla, this is the best way to moisturize for you! This hydrating moisturizer by Busy Bee is the perfect purchase to envelope your skin in the luscious blend of vanilla and lavender extracts, leaving your skin with a nourishing, refreshing scent that you’ll love. The lavender and vanilla extracts, which absorb quickly into the deepest layers of the skin, help relieve stress and provide you with a fragrance that is long lasting. Packed with rich nutrients and natural oils, this organic homemade body lotion deeply moisturizes the skin, and is great for daily use on the face and body. Enhance your skin’s natural glow and protect it from unappealing sun spots with this deeply revitalizing, vegan moisturizer with SPF 17 protection level. This is definitely a daily use cream for dry skin. If you are on the lookout for a natural product of high quality, this great smelling and wonderfully textured moisturizer is worth a try! 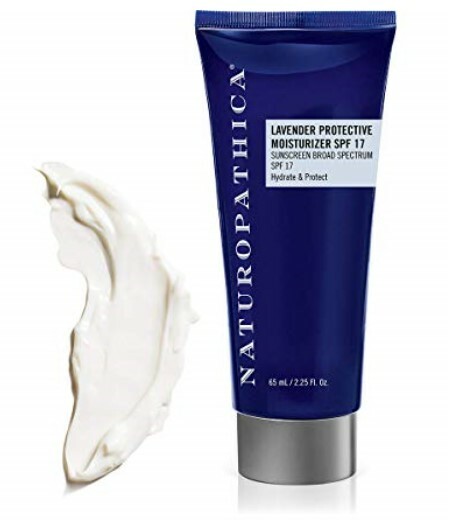 The nourishing active ingredients: micronized zinc oxide and lavender infused in this rich nourishing moisturizing lotion soothes irritation and helps protect the skin from harmful UVA/UVB sun damage. Leaving you to face the sun with full confidence. The best way to moisturize using this product is to apply a liberal amount to your skin at least 15-20 minutes prior to sun exposure. Don’t forget to reapply it after every two hours when in the sun. What scents, if any, do you like in your organic moisturizers? If you liked this post, check out our other fabulous posts on top organic beauty staples.